Description Logics (DLs) are playing a central role in ontologies and in the Semantic Web, since they are currently the most used formalisms for building ontologies. Both semantic and computational issues arise when extending DLs with rule-based components. In particular, integrating DLs with nonmonotonic rules requires to properly deal with two semantic discrepancies: (a) DLs are based on the Open World Assumption, while rules are based on (various forms of) Closed World Assumption; (b) The DLs specifically designed for the Semantic Web, i.e., OWL and OWL-DL, are not based on the Unique Name Assumption, while rule-based systems typically adopt the Unique Name Assumption. 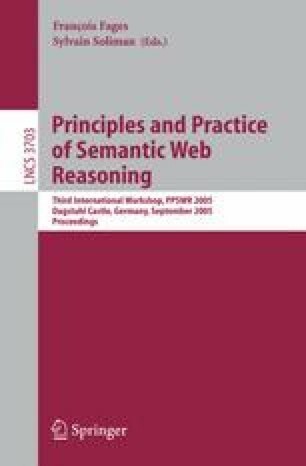 In this paper we present the following contributions: (1) We define safe hybrid knowledge bases, a general formal framework for integrating ontologies and rules, which provides for a clear treatment of the above semantic issues; (2) We present a reasoning algorithm and establish general decidability and complexity results for reasoning in safe hybrid KBs; (3) As a consequence of these general results, we close a problem left open in , i.e., decidability of OWL-DL with DL-safe rules.